Whether you are already using Twitter for eLearning purposes or not, this powerful social media tool can reveal and offer you extremely useful information. In this article, I’ll share 4 ways to search Twitter for eLearning content and show you how you can take advantage of this influential social learning platform. Looking for credible eLearning content on social media? This might be a challenging goal, as with literally hundreds of billions of accounts out there, social media can be the perfect place to find incorrect and misleading information. Especially when searching for eLearning content, one must be quite critical when using this powerful means. However, the truth is that social media search tools are a very interesting alternative to the typical searching the net way, and, as an eLearning professional, you want to utilize every online resource available to access eLearning content that will enhance the eLearning experience of your audience. If you haven’t yet, follow @elearnindustry to keep up with what we’re doing, working on, and seeing great sources focused on eLearning. Twitter is a world of information of its own and the great news is you don’t need to have a Twitter account in order to use it for search purposes. 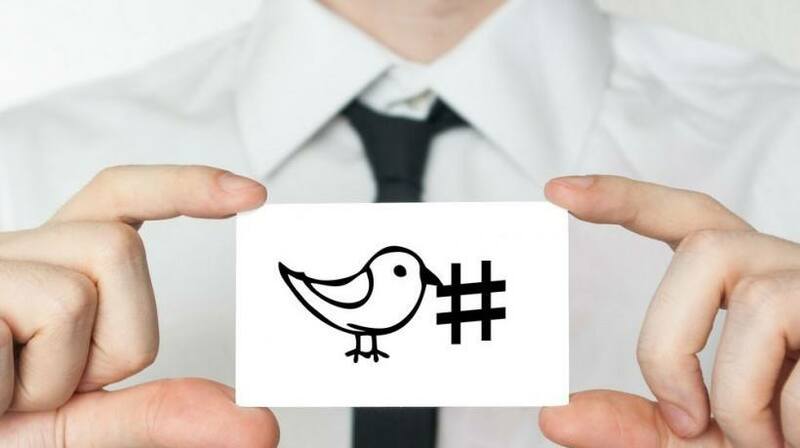 In this article, I will share 4 tips to search Twitter for eLearning content and use this popular social learning platform to your advantage inside and outside of your virtual classroom. As you may already know, there are Twitter hashtags about nearly everything. There are hashtags about people, dates, news, events, places, trends, resources, tools, you name it. Hashtags are probably the most efficient way to not only spark an online discussion, but also gather people around online content; this is what you're looking for. But how you can utilize them if you don’t have a Twitter account? That’s the beauty of it all: You can go to the Twitter search page without having to sign in and write what you are interesting in placing the “#” symbol before. For instance, let’s say you want to find information about Social Studies. Use a popular hashtag for social studies education, such as #sschat, and watch Twitter pulling out for you the top, the most retweeted, and the most saved results. You can even click on the “View all” hypertext to get all the results. Most of the results will be conversations about the topic; however, some of them will be links to useful websites, blogs, forums, and applications that people use, go to, and talk about in the context of social studies education. Isn’t this great? One of the two features of Twitter search is advanced search, where you can filter tweets and find specific words, topics, and people. There are 4 advanced search sections; “Words”, where you can look for the exact word, phrase, or hashtag, “People”, where you can locate specific Twitter accounts, “Places”, where you can find trending tweets in a particular location, and “Dates”, where you can find information shared within a specific period of time. In the “Other” section you can be even more specific, and see whether the information you are looking for was perceived positively or negatively, or includes a question. This is the second feature of Twitter search and it is similar to Google search operators. Twitter search operators support your online search, refine it, and make it much more focused. You can use operators to conduct focused search queries and look for tweets from specific people, sources, dates, and locations. In fact, Twitter search operators, when used properly, may provide you with way more precise and relevant information than the one you will get from typical web search engines! Trendsmap displays the use of hashtags on a world map, so it is really easy to find the trends you are interested in by city, country, or continent. In Hashtags.org you will find what has been trending for the last 24 hours. We’re talking about pretty hot trends. Here you will find not only what’s trending on Twitter, but also why. What The Trend provides tons of Twitter related stats and information by constantly updating the lists of trending topics and allowing you and thousands of other people across the world to explain why specific topics are interesting or important right now. A great opportunity for an online discussion, isn’t it? Now that you know how to search Twitter for eLearning content, you may be interested in learning whether you should use it as an eLearning platform. Read the article Using Twitter For eLearning: 8 Pros and 6 Cons To Consider and find out if incorporating Twitter into your eLearning strategy is a good idea.